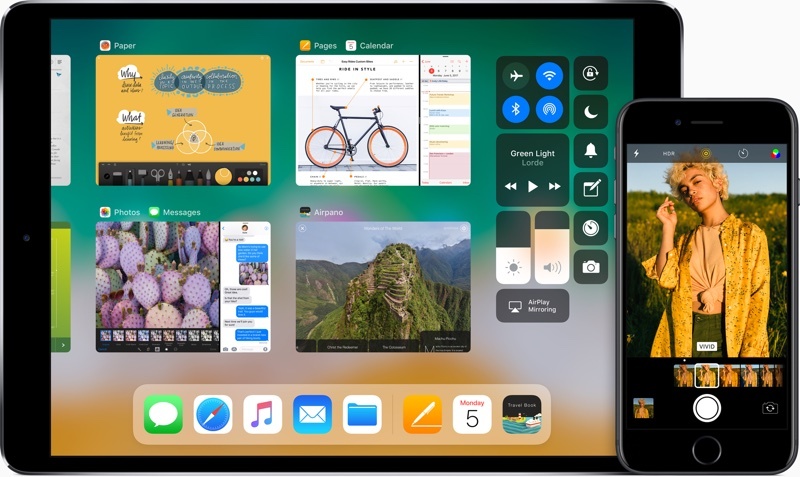 It is interesting to note how iOS 11 is offering features that help make mobile computing become more like desktop computing. An example of this is Apple’s new Files app, which provides a centralised location for all your documents, spreadsheets and other files which you access on a day-to-day basis. It is interesting to note that this app does not just store files that are located solely on your device, but can also allow you to access files across your other Apple devices, and even your Dropbox folder. This is a great way to quickly view and organise your most important resources. If you use an Apple computer regularly, you would be familiar with the dock that sits on the bottom of the screen in the Mac operating system. With iOS 11, a similar dock is being introduced. This feature allows you to access all your favourite apps from the one location. What’s more, Apple also provides “suggested apps” within this dock; apps on your device that iOS believes you would require. For example, you could be provided with apps you opened recently, or even apps that you used on your other Apple devices. This is a very intuitive and streamlined way to use your device. Previous version of iOS have allowed you to open two apps at the same time, using a split-view presentation. With iOS 11, however, there are more options available when you perform this multitasking. For example, if you want to change one of the apps you have open on in a split view, all you need to do is drag the app’s icon from the dock and drop it onto the left- or right-hand side of the screen. This advanced multitasking functionality, combined with the updated dock, essentially allows users to avoid returning to their device’s home screen. As such, you will find that your workflow becomes more streamlined and user-friendly. Another exciting feature of iOS 11 is the new ability for you to seamlessly move content from one app to another. For example, if you are using the iPad’s split view, with your photo library on one side and your emails on the other side of the screen, you can now drag a photo across the screen and insert it in an email draft. It is akin to copying and pasting using only your fingertips. This is another great example of how iOS 11 has been designed to make your day-to-day work seamless in more ways than one. In conclusion, iOS 11 is offering many exciting features for users of Apple devices. If your organisation currently uses iPads or iPhones as part of your wider mobility program, the upcoming release of this software will provide many benefits to your workforce. Of course, if you have thought about using Apple devices in your company, iOS 11 provides further reasons why these smart devices can improve your operations. If you would like to discuss these possibilities further, we would welcome you to contact Comunet today.